As the filmmaker says, it's "a documentary film about jazz education that's not about the music. It's a film about collaboration, creativity, and community; a film about sharing ideas across cultures, a film about the legacy that passes from generation to generation; a respect for the elders, and the hope that the younger generation will take that knowledge and pass it forward. David Liebman, who won the NEA Jazz Masters award in 2011, founded the IASJ [International Association of Schools of Jazz] about twenty years ago with the sole purpose of creating a forum for cross-cultural communication." - Leon Segal, filmmaker and psychologist. 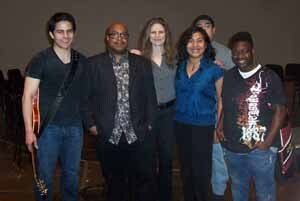 An intercollegiate project, A-JAM is open--by audition--to music majors in any of the five Alamo Colleges. Auditions are held each year in November, at which time finalists are selected to enter the A-JAM program. 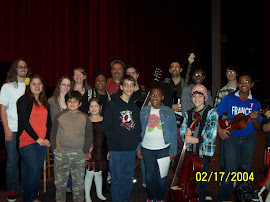 During the spring semester, A-JAM students perform locally and are coached by regional professionals and visiting artists. Each year--funds permitting--one lucky student is invited to participate in the annual meeting of the International Association of Schools of Jazz, held in a different country each year. 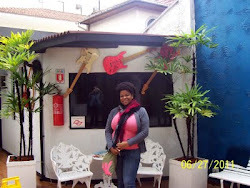 Singer Jeané Gaines, Northwest Vista College, participated in the IASJ meeting in São Paulo, Brazil in 2011 as the first A-JAM grand prize winner and international program delegate. Click here for more student information. Check out our A-JAM Hall of Fame! For more information on auditions and a list of the top 10 tunes to know in jazz, click here. 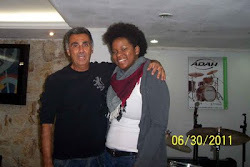 In creating the project, my aim has been to combine the best elements of two extraordinary programs with which I've been fortunate to be involved: the International Association for Jazz Education's (IAJE's) "Sisters in Jazz" mentorship program and the International Association of Schools of Jazz (IASJ--the brainchild of NEA Jazz Master Dave Liebman). The A-JAM program gives San Antonio students a chance to learn their craft at home and to collaborate with students and teachers abroad. Musical Bridges Around the World - master classes with A-JAM students and such visiting jazz artists as New Orleans trumpeter Nicholas Payton, pianist-composer Geri Allen and guitarist Rez Abbasi, among others. 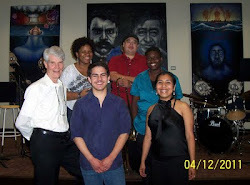 The City of San Antonio's Community Arts Access Program (CAAP) - grant awarded in 2012/2013 for workshops at Northwest Vista College with the SA Brass, Bett Butler & Joël Dilley, and Lindsay Van de Kirk. Members Any fulltime student at one of the five Alamo Colleges or designated consortium school can audition to become part of the Alamo Colleges Jazz Mentorship Program. Each year, a new A-JAM combo is selected by audition, and subsequently coached by such jazz luminaries as NEA Jazz Master Dave Liebman, New Orleans trumpeter Nicholas Payton, jazz pianist Geri Allen, West African guitarist Lionel Loueke, New York bassist Gene Perla, Pakistani-American guitarist Rez Abbasi, San Antonio's Small World band, featuring Kyle Keener and Polly Harrison, and other other top professionals. Description GRAND PRIZE RECIPIENT is invited to the annual meeting of the International Association of Schools of Jazz, which is held in a different country every year. NEA Jazz Master Dave Liebman is IASJ Artistic Director. 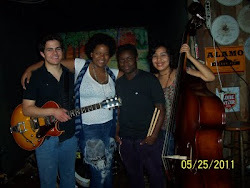 A-JAM members receives professional coaching, and live and studio performance dates. 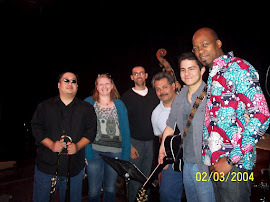 During the spring semester, they perform locally and are coached by regional professionals and visiting artists. The grand prize recipient is invited to participate in the annual meeting of the International Association of Schools of Jazz (IASJ) in June. 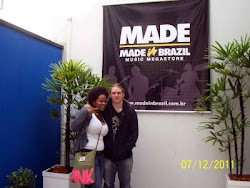 Vocalist Jeané Gaines, Northwest Vista College, attended the weeklong IASJ meeting in São Paulo, Brazil in 2011 as the first A-JAM grand prize winner. History "The IASJ is an organisation which is the brainchild of the great saxophonist Dave Liebman who in 1989 contacted a group of people from around the world who were involved in jazz education with a view to forming an organisation that would allow for the free-flowing exchange of ideas, students and teachers between schools that teach jazz. I was one of the people who sat in that room in Germany over 20 years ago, and I’ve seen the organisation grow into what it is today. Biography LIVE AUDITIONS are held at Northwest Vista College Monday or Tuesday of Thanksgiving week. FOLLOW THE A-JAM BLOG BY EMAIL!